Facebook has faced many challenges with people contacting them trying to access the accounts of loved ones after they have died. I wrote about this Father who pleaded with them to allow him to access his Son’s account. Facebook helped this Father with his request and at the time stated that they were working to “help people celebrate and commemorate the lives of people they have lost”. 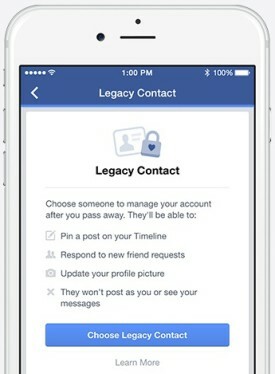 Yesterday Facebook made good on this promise and announced a new feature called “Legacy Contact” that allows us to designate another Facebook user to manage our account after we die. The legacy contact will not be able to log in as the person who passed away or see that person’s private messages. 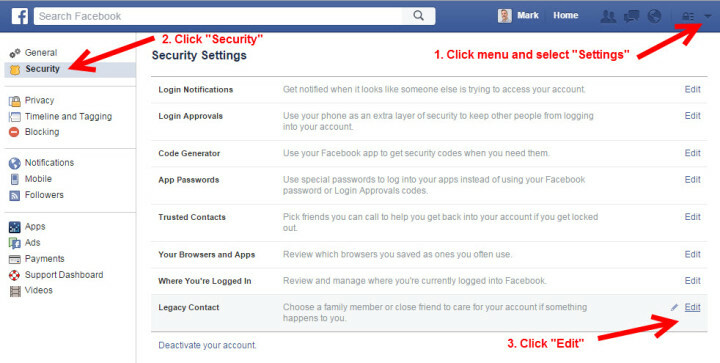 Also a new option is available to tell Facebook to permanently delete your account without designating a legacy contact as well. You can report a deceased person or an account that needs to be memorialized here. You can learn more about the options Facebook offers here.